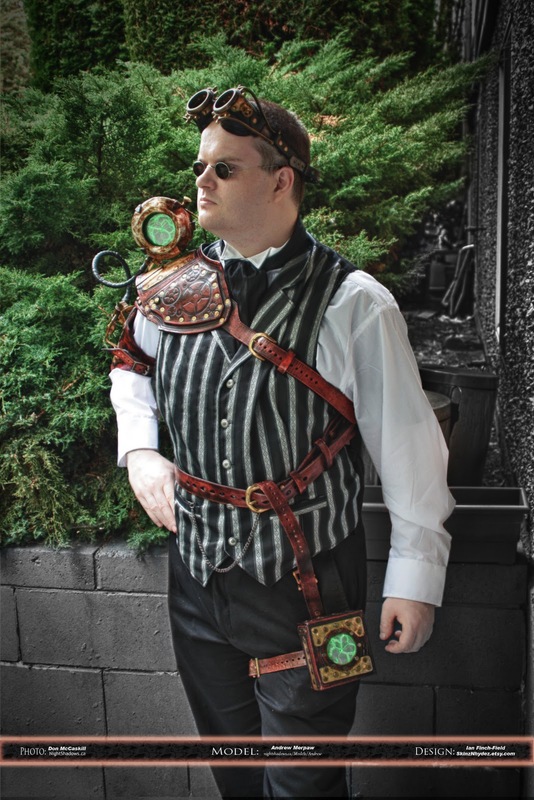 My friend Ian Finch-Fields has had some recent notoriety in the press for his Steampunk designs. Three hours of editing and an accidental reboot of the computer later, I had a new image highlighting Ian’s talents as a craftsman and Steampunk Master. Then I managed find an article that talked about how you KNOW when you’ve arrived. With the recent controversy over Ian’s work for Justin Bieber‘s upcoming Christmas Video, I thought he needed a pick-me-up. The article says how when you’ve arrived, you’ll have haters, and the recent fame and attention has brought the haters to Ian’s door.